So baby keep my heart beat b'beat beat beating. To die like this you know, oh oh oh. Hey hey, beautiful the sunshine shines oh oh so bright, alright. Lay back I'll spend the night just staring at you. For every grain of sand, that you drew me pictures in. Yeah there was one for every time that my heart dropped again. She's the soul reason I keep believing, that were going. Close your eyes don't say a word. your way to beautiful you heard. The way the way my heart keeps beat b'beat beat beating. There was one for every time that my heart dropped again. 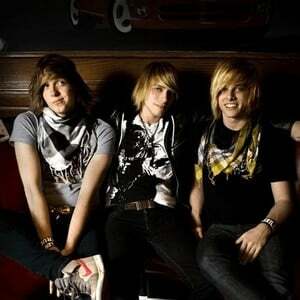 Stereo Skyline was a four-man power pop band from Long Island, New York. During their short but sweet existence, the band put out several successful EPs and demos, played Bamboozle 2007, Bamboozle 2009, and Bamboozle Left 2009, and garnered national acclaim for their full studio album. Inspired by a love of bubblegum pop as well as melodic punk rock, they toured the country, went through numerous lineup changes, and ended up being managed by the esteemed Ozone Management firm, while also being booked by Paradigm Booking Agency.